Do you like the title of this posting? It contains three of my favorite words! Seriously, if you live in the U.S., you’re probably experiencing unseasonably warm temperatures right now. Here in Northern California it’s downright blazing hot–at least in my part of the Bay Area just north of the Golden Gate Bridge. We don’t have a swimming pool in our yard, and I’ve been too busy to drive my little ones to the beach to cool off. 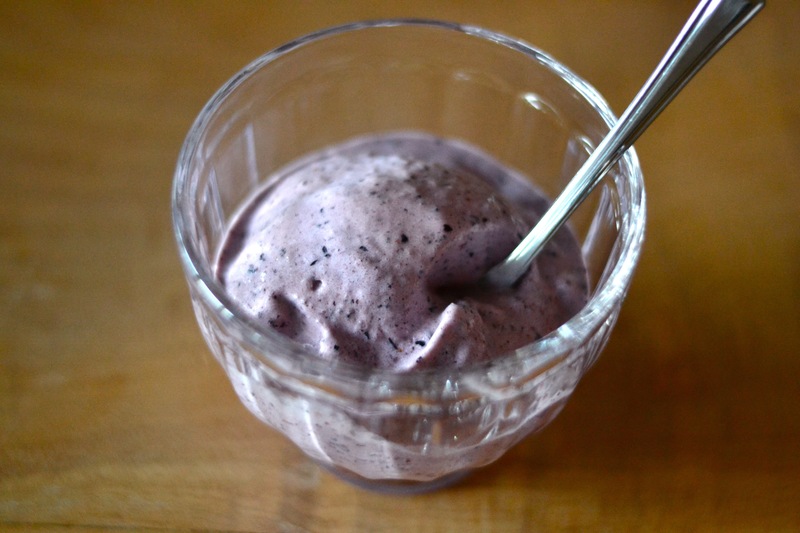 But I want to appease the little monkeys some way, and this super easy to make, healthy ice-cream (slightly modified from Nom Nom Paleo’s) does the trick. It literally takes less than 5 minutes to prepare (if you have frozen fruit) and they love it. We all love it. What’s more, it’s dairy-free and contains no added sugar! I’ve made two flavor suggestions here, but obviously you can make whatever flavor or combination of flavors you and your family like. I don’t happen to have any frozen mango, but that will be my next flavor to try. Place all ingredients in a VitaMix or other high-powered blender. 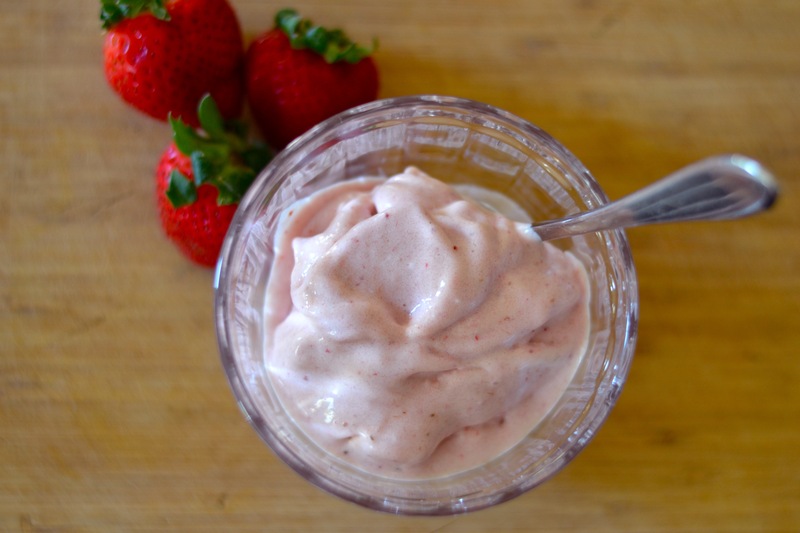 Using the “plunger” tool, blend the ingredients until thick and creamy. Serve immediately.